Purchase this slice of awesomeness now and earn 160 Vein Tap Points! Beautiful tone, hand-crafted here in the UK using the finest available components, and with a lifetime guarantee… all for an stunningly good price. 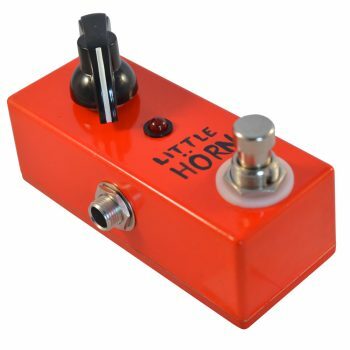 That should be enough to get you interested – now, sit back, unwind, and let us tell you all about God’s own distortion pedal. 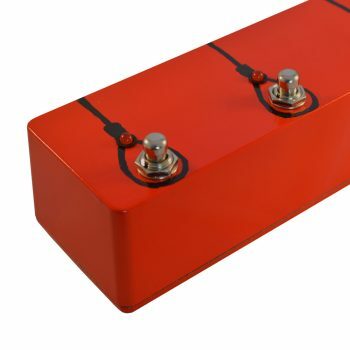 Quite a lot of guitarists these days get their base distortion tone from their amp, and there’s nothing wrong with that at all – but it’s always good to experiment. The beauty of the Angel of Rock is that it’s not got small man syndrome – it doesn’t pretend to be, or try to replace, your amp. No, it’s a proud distortion pedal – and it will work and stack beautifully with your existing pedals, and your amplifier’s pre-amp section. You can set your amp to clean, and use the Angel of Rock to create a beautiful, thick yet clear, saturated yet tight distortion. Or, you can set your amp to a solid crunch tone, and use the Angel of Rock in its mid settings to push that crunch tone into beautiful, sweet, harmonic saturation. 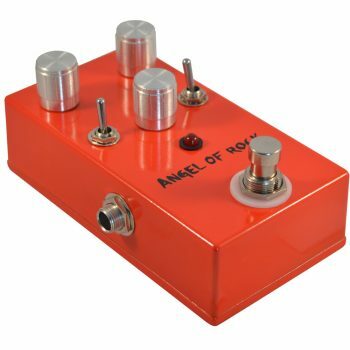 Or, you can use your amp as your primary distortion, and use the Angel of Rock as a boost-with-bite for an aggressive yet controllable lead scream. 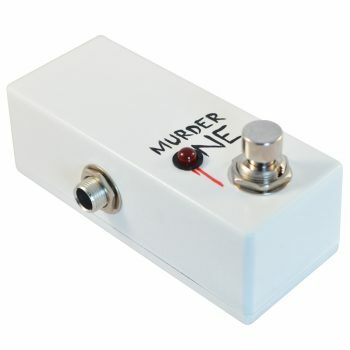 It’s all here, in one stylish pedal. 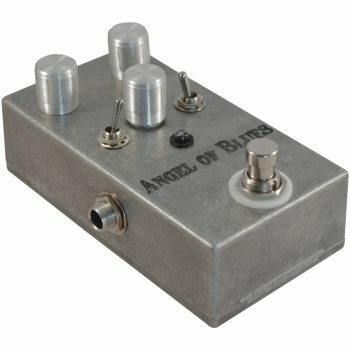 You can use boosts, overdrives, fuzzes, and other distortions at the same time as the Angel of Rock to create truly unique tones. It’s incredibly versatile, with sweet tones throughout the entire sweep of the drive control. Try one out – we literally guarantee you’ll fall in love with it. 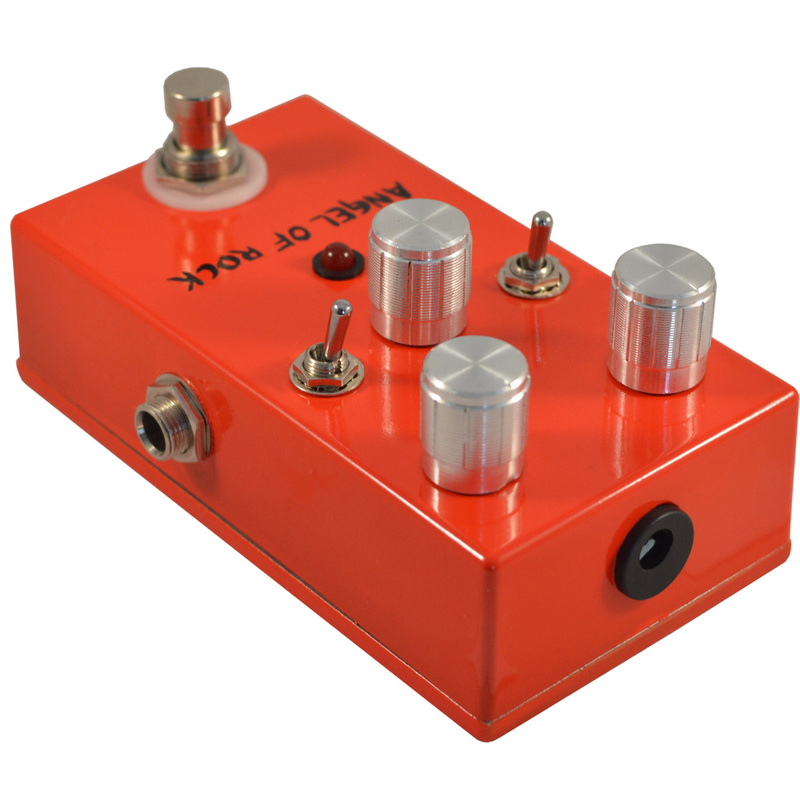 It’s also blindingly simple to use – the Drive knob allows you to dial in as much gain as you deem appropriate. The Volume control lets you set how loud your drive tone will be compared to your clean tone. And finally, the Tone control lets you pick out the exact right mix of treble and bass for your set-up. Ideal. Alongside the standard Drive / Tone / Volume controls, you also get two toggle switches on the Angel of Rock: the Bass Tamer switch and the Rhythm / Lead switch. The Bass Tamer knocks back the very low end. If you’re using humbucker pickups, or an already crunched amp tone, you might notice that the low end can get a little wobbly and unfocussed. 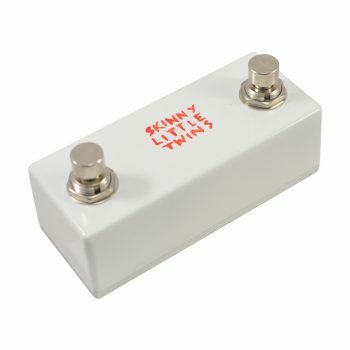 Use the Bass Tamer switch to bring the extreme low-end to a more workable level, all the while enjoying a rich and full guitar tone. 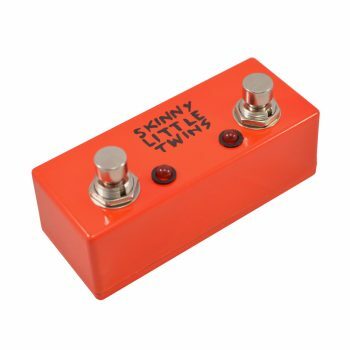 The Rhythm / Lead switch is an even simpler monster: the Lead channel simply kicks in just a little more gain to help your tone soar. 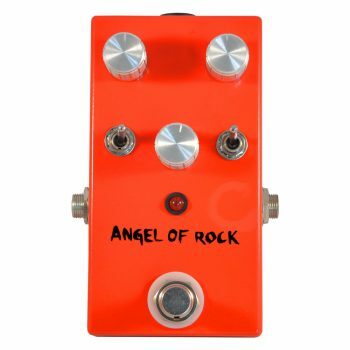 If Nigel Tufnel had gotten himself an Angel of Rock distortion pedal, his amp might have never even made it to 7. 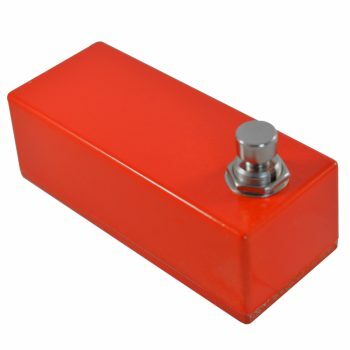 We call it the Rhythm / Lead switch, but actually it’s your choice as to how you use it – you might find your perfect rhythm tone on the lead setting, or vice versa. There are no rules, so experiment with the Angel of Rock, and see what beautiful tones you come up with! The noble Gods of Loud did not work tirelessly for centuries for the world to be plagued by bad guitar tone. The Angel of Rock is their chalice, their altar… nay, their very way of life. Gone are the days of hissy, fizzy, sub-par distortion on your pedalboard – it is time to rise, and herald in a new era of beautiful distortion tone for your playing. Get an Angel of Rock Distortion Pedal now! It makes more sense than upsetting your neighbours. 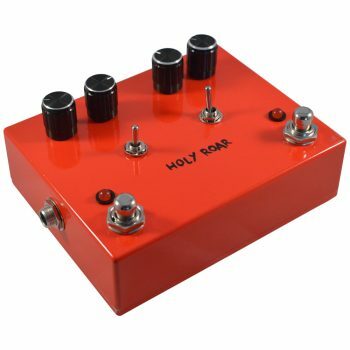 > With my Suhr and 100watts of Egnater and just the Angel of Rock pedal I had the best rock sound I’ve ever had straight off the bat,well done simply amazing pedal.